UK Stampin' Up! Demonstrator | make beautiful cards | Crafty Hippy: Become a Stampin' Up! Demonstrator in the UK and join our amazing family! Become a Stampin' Up! Demonstrator in the UK and join our amazing family! Become a Stampin' Up! Demonstrator and join in the fun! 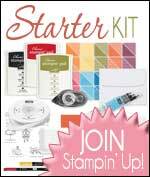 There are lots of reasons why you might want to become a Stampin' Up! Demonstrator. Perhaps you have been buying their products for a while and want to get more involved with this amazing company (that was me!). Maybe you're looking for a discount (one of the great perks of being a Demonstrator), or perhaps you're looking for a way to make a little bit of money. Or perhaps all three? What does it cost to join Stampin' Up!? It costs £99 and you pick £130 worth of products. You get FREE P&P, and receive some business supplies in your Starter Kit (catalogues, order forms etc). Are there any offers for joining at the moment? Yes! As it's Sale-A-Bration (ends 31st March 2108) you get to pick TWO extra stamp sets of your choice - amazing value. Why did I personally sign up? I was introduced to Stampin' Up! by a friend. First off I was a customer, but to be honest not much time had passed before I decided I wanted to join. I was so impressed (and obsessed!) 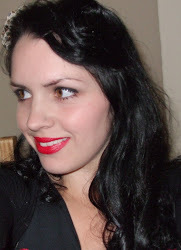 with their amazing products I decided I wanted to get involved, and for me that meant being one of their Demonstrators. That was nearly 6 years ago now and I haven't looked back. I have met so many lovely people through Stampin' Up! and had so much fun. Why join? What are the perks? - Join our friendly family - and the Crafty Hippies (my team). What's the Small Print or the catch? There is no catch! We do this because it's fun! There is a manageable quarterly sales target and this can be made up of your own orders, customer orders (friends, family, or people you don't know) or a mixture of both. Contact me for more details or read the Join Page for finer details. If it's not for you then you simply 'drop'. No penalties, questions or hassle. If you want to go further than just getting a discount, you could teach others how to be creative. The guesswork is taken out of it with our beautifully co-ordinating products - all you have to do is share what you love, and show how easy it is. There are many ways to do this and how you do this is entirely up to you. Speak to me for more details.